There were times when I was slogging through a long and tedious document when I wished someone read the dang thing to me while I did something else, like put my feet up on the desk or reorganize my files. You could call that lazy, but I like to think of it as multitasking. The next time I'm in that situation, I think about downloading Panopreter. It's a text-to-speech translation program that will read digital files including plain text, .doc, PDF or even web pages. 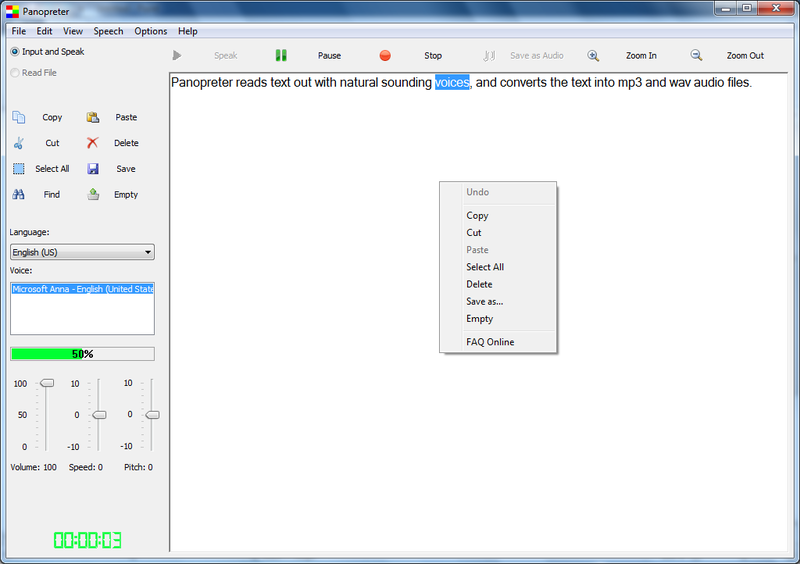 Panopreter reads the text out loud in a natural-sounding human voice using the default text to speech voices that are available on Windows. Users of Windows 8 or 8.1 can choose Microsoft David (a US male), Zira (a US female) or Hazel (a UK female). Windows 7 and Vista users Microsoft Anna (a US female). Another feature of Panopreter will convert text into WAV or MP3 audio files. That means you can take those legal briefs, research reports or magazine articles with you when you go for a walk or to keep you company on long drives. To try Panopreter free for 30 days, download a 32- or 64-bit version at the company's website. If you decide to buy, the cost is $29.95. You could call that lazy, but I like to think of it as multitasking.